Wow where has the year disappeared to! I can’t believe that Christmas is nearly upon us and the countdown has begun. Let us lift your burden & take the strain of present hunting for the Retro & Vintage lover in your life. We are madly stocking up our shop with gifts large and small to help with your shopping list. 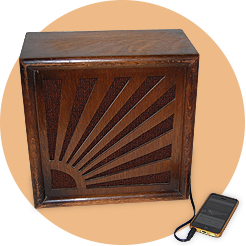 Anything from fun items for the bar – Babycham glasses, soda syphons & ice buckets to Retro technology – dial phones, record players, radiograms, Vintage Speakers & record boxes. We also stock a range of vintage & retro crockery if you need to replace any broken pieces for your Christmas dining table. Manufacturers stocked include Midwinter, Hornsea & Poole. If you are hunting for that exceptional item for your special somebody drop us an email or give us a ring we love taking on specific searches for clients and are always happy to help. 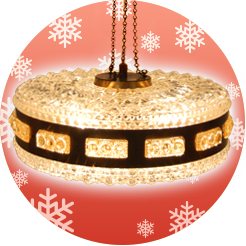 Remember the last day for orders for GUARANTEED delivery for Christmas is Thursday 18th December. 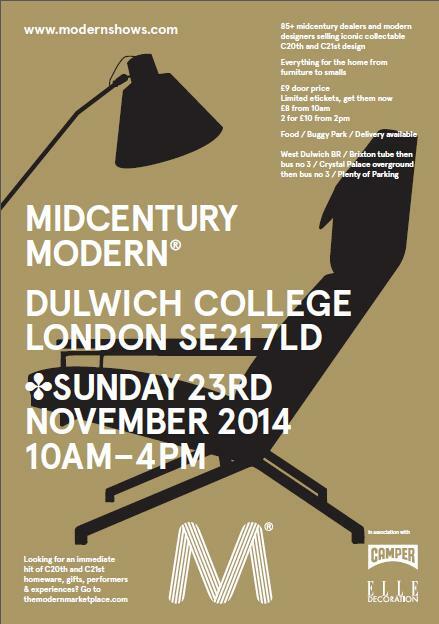 Looking forward this month to one of the fab shows of the year – Midcentury Modern at Dulwich College – held on Sunday 23rd November this show is a one day extravaganza of Mid Century style & design. Staged by Modern Shows, the event offers a mixture of 20th and 21st Century furniture, ceramics, vintage technology, fabrics and glass for Midcentury lovers. Held in the beautiful Christison Hall, South Cloister, Lower Hall and North Cloister at Dulwich College, South East London and is a must visit event. Come and pick up a piece of design heaven for your home or a fabulous Christmas present for your loved ones.